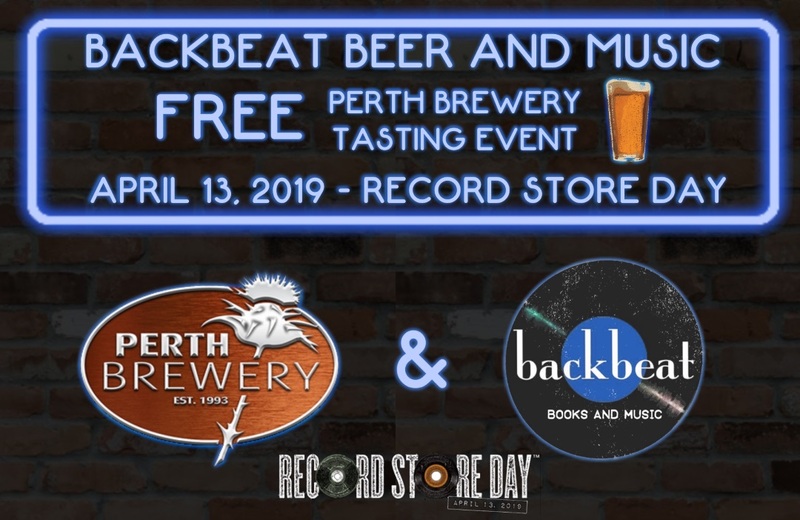 Record Store Day is now less than 2 weeks away so we’re going to start letting you in on a few details of what’s going down at Backbeat on April 13th. We’re super excited to announce that Perth Brewery will once again be setting up in our shop this year to offer you a tasting of their amazing traditionally crafted beers. From thirst quenching lagers, pilsners & ambers to delicious IPAs, stouts and fun seasonals, Perth Brewery makes some fantastic beers right here in Perth. What could be better on Record Store Day than a beer and browsing records? April 22, 2018 Thank You!